If you read that title and thought that I have a clue about what will happen–well, sorry. I’ve been at Belmont and wept big, sloppy tears when Funny Cide and Smarty Jones lost their bids for the Triple Crown. Like a woman who’s loved and lost too many times, I can’t afford once again to hang my emotions on a Triple Crown hopeful, then spend three hours after a loss, crying on the paddock patio. It would be nice if Chrome wins the Triple Crown. It’s not necessary, but it would be nice. Don’t expect to see me crying like a little girl during the next three weeks. I won’t spend one minute of time nodding and agreeing that I’ll lose my mind if he doesn’t win. I won’t have a psychotic break if Ride on Curlin or another great horse crosses that line first. I’m not emotionally invested, because…it’s a horse race. It’s not called, “a sure thing,” and it shouldn’t be. This is about gladiators, duking it out to see who’s The Best that day. All I know–and all you know–is that Chrome will have a bull’s-eye on the back of his head. Those other horses will be there to beat him. Last night a friend suggested that, basically, that it would be nice if “they” let him win. 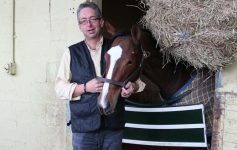 That’s was cute, but it’s naive, to think that trainers and owners would fly their horses into Belmont–spend all that money, energy and emotion–just to let California Chrome win. That sacrificing their own careers and the health and careers of their own steeds would be worth it, in order to have a Triple Crown winner. 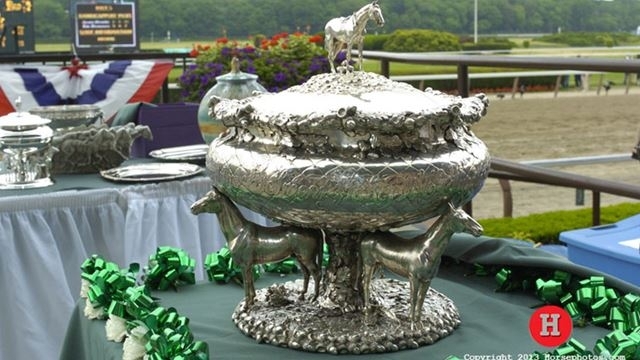 To hand the Triple Crown to California Chrome simply because “it would be nice” would be akin to the ridiculous contemporary practice of handing trophies to every child, just for showing up. Winners get trophies. Everyone else is inspired to work hard and win that trophy the next time. Hence, the concept of competition. If we’re never challenged to do our Very Best, then we’ll never know how good we can be. 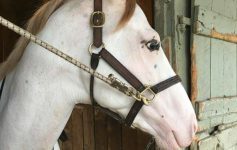 And even if the trainers and owners were profoundly stupid; disloyal to themselves and ridiculously magnanimous–and DID conspire to throw the race toward Chrome–there’s another entity to consider. For those of you who are uninitiated, Belmont Park’s dirt track, itself, has a well-earned nickname: Big Sandy. See that oval, above? On your computer screen, it’s about 2″ long. In reality, the infield at Belmont is large enough to land a 747. A mile-and-a-half on that track is the most daunting in the sport of horse racing. Other tracks look like baby tracks. You have to see it in person to grasp the enormity of Big Sandy. When you see Big Sandy for the first time, you gasp. It’s monstrous. So imagine an average-weight Thoroughbred, running full-tilt boogie, on that dirt. Every time the horse’s hoof hits the ground, the horse is generating 6,000 pounds of energy per square inch. That’s three tons of weight, smacking into and fighting against that which is probably the deepest dirt on a racetrack in America. The number of horses entered in the race will challenge California Chrome. The quality and talents of those horses will be a factor. 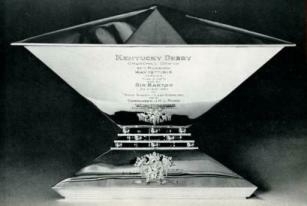 Many factors will determine whether the Triple Crown is achieved this year. It’s not a matter of whether Chrome is feeling good that morning: it’s the combined math of all those factors, plus 150,000 hysterical, bellowing fans. A wall of sound, assaulting the ears and sensitive natures of the contenders after they make that final turn for home. So, I have no Wisdom to offer–other than to advise you not to wish aloud that “they” will let him win. To hand the Triple Crown to California Chrome would be the same as giving trophies to children just because they show up. 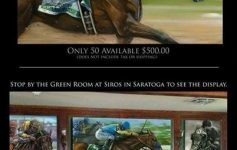 NYRA has announced that the field will be full. (See below.) Many people will bring their brightest and best, to see if they have The Horse who can tame Big Sandy. One of them will. Will it be California Chrome? We won’t know ’til that last nose hits the wire first. But whomever takes home that beautiful Belmont Trophy, one thing we know for sure: that trophy will be earned, one hoof at a time. 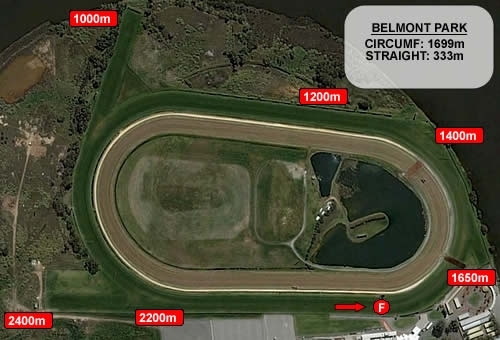 ELMONT, N.Y. – A large, competitive contingent of challengers is expected to faceCalifornia Chrome when he attempts to become thoroughbred racing’s 12th Triple Crown winner in the Grade 1, $1.5 million Belmont Stakes on June 7 at Belmont Park. The provisional Belmont Stakes field also includes Tonalist and Commissioner, the respective top two finishers in Belmont Park’s Grade 2 Peter Pan. SAMRAAT My Meadowview Farm Richard Violette, Jr. Previous Article Triple Crown Season II: Bobbi Patscheider, RIP. Arabian Racing–and Thoroughbred Racing–Lose a Friend. Next Article Triple Crown Thoughts: Not Every Horse Can Turn Chrome into Platinum.